Do you know, the U.S state Ohio is named after the river Ohio. Ohio is home to friendly people who want to help each other. If you too reside in Ohio and want to make a difference in someone’s life, prepare for the hearing aid specialist licensing exam here in Ohio. 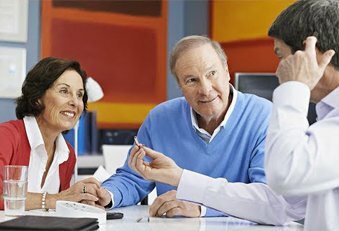 Now, there’s no need to invest thousands of dollars and two years of your life as you can register with the Hearing Aid Academy. The Academy offers you a chance to study from 100% online self-paced course to prepare for the International Licensing Exam administered by the International Hearing Society. Halle Berry is an American actress born in Ohio. She lost her 80% of hearing in the left ear after getting beaten up by a former abusive boyfriend during the filming of The Last Boy Scout. While she did not name the abusive boyfriend, she said he is someone influential from Hollywood. Want to open new doors of opportunities? A career as a hearing aid dispenser connects you with people so you can help them hear different sounds clearly. If you are ready to change your career path, the Hearing Aid Academy’s 100% online self-paced education program will prepare you to pass the hearing aid specialist licensing exam here in Ohio. We bring you a powerful, step-by-step online education program that makes it easy to pass the International Licensing Exam administered by the International Hearing Society. By enrolling with the online program, you can work your daytime job or look after your family while studying at night. The Hearing Aid Academy online course is valid across all 50 states in America. Therefore, no matter where you live in America, you can easily pass the licensing exam in 3 to 6 months and start working as a licensed hearing aid specialist (HAS). If you feel your career is not going in the right direction, or you are not earning the income you deserve, it is the right time to prepare for the hearing aid specialist licensing exam. The hearing health industry is growing at a fast pace and licensed HAS are in high demand. Therefore, there’s no need to settle for less than what you deserve. Different retailers are creating new job opportunities for licensed hearing aid specialists. But due to the lack of licensed professionals, companies such as Walgreens, Costco, Miracle-Ear, and CVS Pharmacy had to slow down their expansion plan. Currently, there are five job opportunities for every qualified and licensed HAS. What are you waiting for? After passing the hearing aid specialist licensing exam here in Ohio, you can pick a career that comes with great income potential and job security. Working as a hearing aid specialist gives you a chance to work for yourself. You will have a flexible work schedule with weekends and holidays off. Are you worried about leaving your job to become a graduate? What if we tell you that it is possible to prepare for the hearing aid specialist licensing exam here in Ohio while working your daytime job? The Hearing Aid Academy’s 100% online curriculum gives you the flexibility to complete the 100 hours of online training according to your convenience. As long as you have a working internet connection and a laptop, you can complete this course anywhere in the world. Conveniently set your study schedule without worrying about leaving your job or family commitments. You can set your study schedule based on your daily routine. By clearing the hearing aid specialist licensing exam here in Ohio, you can build a respectable career that offers high earning potentials. Hearing aid specialists are in high demand right now. As a licensed professional, you can easily secure a starting salary of more than $60,000 to $70,000 per year along with earning great incentives. The Hearing Aid Academy has qualified instructors on board who have more than 30 years of real-world experience working as hearing aid specialists. Therefore, you have experienced professionals to solve your problems and queries. This is not a thousand dollar weekend cram session or two-year commitment program. You can conveniently complete this program in 3 to 6 months depending on your speed. The Hearing Aid Academy provides the most advanced and complete online training to pass the written and practical International Licensing Exam (ILE) administered by the International Hearing Society (IHS). By opting for online education over the traditional education system, you will save time and money while learning a skill that will help you earn a lot of money. To prepare for the hearing aid specialist licensing exam here in Ohio, you need a laptop with a working internet connection. Study anytime, anywhere according to your convenience. At Hearing Aid Academy, we are proud to provide financial assistance to students who qualify for the program. This is a specifically designed cost-effective program whose payments start as low as $199 a month. So if you are looking forward to becoming a part of this fast-growing industry, want to have the freedom to study according to your convenience, and want to have a flexible work schedule with holidays and weekends off, this is your calling. Help people hear sounds clearly. Pass the hearing aid specialist licensing exam here in Ohio.